Our Club Crawl events are always a fantastic night out! If you have joined us on a past Club Crawl, please view your photos for the event date on our Facebook page. Feel free to tag yourself and leave us a comment. Thank you for partying with us! 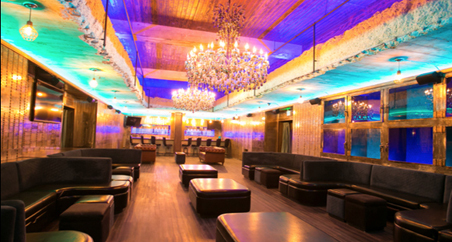 As the original and premier Club Crawl in Los Angeles, we are the ultimate party experts. 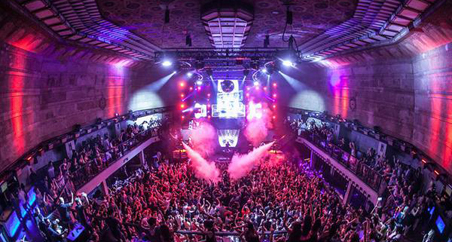 Our amazing hosts will guide you to four of LA’s best venues, skipping the lines for VIP entry with no cover charges. Downtown LA has quickly become one of the hottest nightlife destinations to party at, and we can ensure you get the most VIP experience at DTLA’s best nightclubs. Join our events for an unforgettable night out in one of the most popular destinations and discover why downtown Los Angeles is the place to see and be seen! Bachelorette / Birthday groups join us! Come solo or with a group, our goal is to turn strangers into friends. 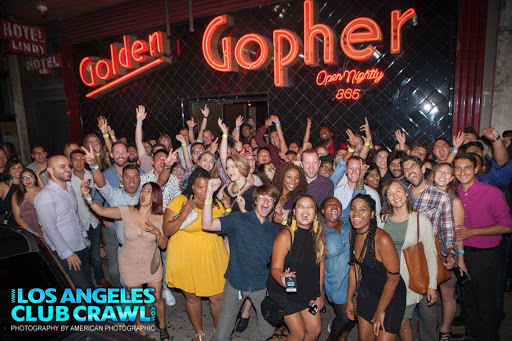 Our special event Club Crawls draw about 50+ party people on an average night looking to see the best that Downtown LA nightlife has to offer. The group is always a great blend of tourists, locals and people looking to meet others. Don’t be shy – even if you are going out alone, you will be sure to make some wonderful new friends. Our fun and engaging Club Crawl hosts make your entire experience stress-free so that you don’t have t o worry about a thing. 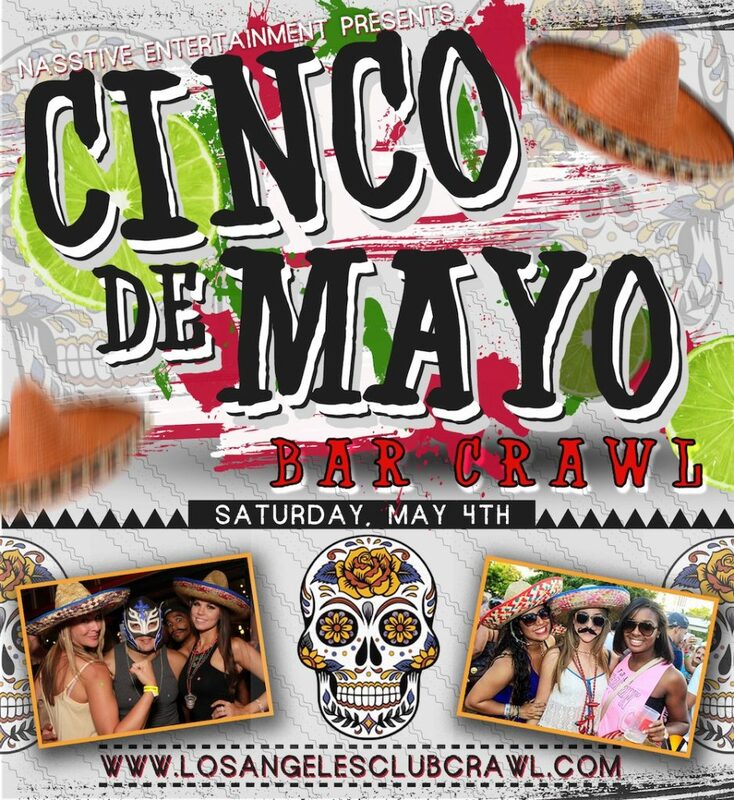 The night starts off at 9:00pm, where you can grab your club crawl wristband and enjoy exclusive drink specials from the bar before the group heads onto the next venue. Our hosts will handle it from there – letting you know when to move onto the next spot and ensuring that you get in ahead of the line, with no cover charges. All you have to do is enjoy the experience, make new friends and dance the night away! Your Hosts in Downtown L.A.
"I went to the Downtown LA Club Crawl over the weekend and it was awesome! 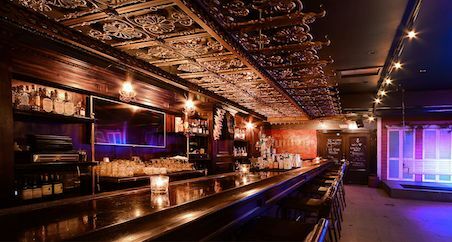 If you don't really know where to go for a night out, but want to stay downtown and not go all the way to Hollywood I think the club crawl is a perfct way to experience the nightlife and have a great time!" - Jessica L.
Get access to 3 or more venues for only $25. Limited advance tickets are available online so we suggest that you reserve your tickets as soon as possible to guarantee your spot on the Club Crawl. Walk up ickets can also be purchased at the event check in for $30, but are only available if the club crawl is not full. To join, all you need to do is bring valid ID to the event check-in to get your wristband (you do not need to print your ticket confirmation) and you are all set! You are almost there! 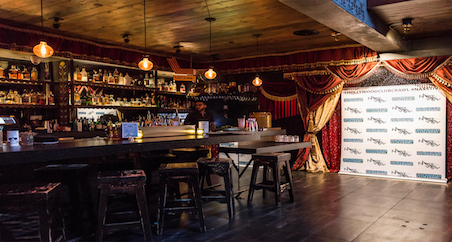 Check in with us at Bang Bang Room in Downtown LA (221 W 7th St) at 9:00pm. Look for our club crawl sign and your party hosts for the night. They will be able to give you your wristband, let you know the exclusive drink specials you get and any other details for an amazing night. From there, it’s time to mix and mingle! Introduce yourself to any of the other club crawlers that you will be partying with and remember to turn strangers into friends! To make sure that you have the best night possible, make sure you dress the part. Most LA clubs uphold a strict dress code, which means guys must wear a button-down or collared shirt. Dress shoes are recommended, although jeans and dress tennis shoes are usually acceptable. Girls please refrain from wearing sandals, though comfortable shoes are definitely encouraged to dance all night! All of our Club Crawl events are 21 and older. Local ID or passports recommended. At each stop our party hosts will let you know when the group is ready to move onto the next venue. All of the clubs are a short walking distance from each other so that you will get to them in no time at all. Our guides are identified by their glowing neon wristbands and will be sure to lead you to each club flawlessly. We do the work, you party! "Fun way to boogie on a Saturday if you're looking to hop around and try different venues without paying cover at each. The hosts are awesome and always gracious and hospitable. Best part is not having to wait in line, getting to meet new people as your hop from place to place." - Ken Z. If you’re looking to celebrate a special occasion, consider upgrading to a private club crawl for the ultimate personalized experience in LA. Whether you’re celebrating a birthday, graduation, or planning a bachelorette party, we will help you organize it to its full potential. You get your very own personal host, choose your own lineup and call the shots with our private club crawl option. We will do the work and you do the partying. With our special connections to some of Los Angeles’ best nightlife, we will be your gateway to the perfect night out. Select which bars / clubs you want to visit and our skilled staff will lock down a successful line up. Need assistance? We can help you choose the right venues for your group based on your personal preferences. Be as involved in the planning process as you want to be – you can choose the clubs, meetup times and we will work with you to make it a night that your friends will rave about. We will assign you with your very own private club crawl host to lead you throughout the night and handle all of the entrances into the top clubs in LA. Email us for a full list of the venues to choose from. Tickets for our private club crawls are $45 per person and require a minimum of 10 people to book. This includes your very own personal host for the group and also allows you to choose your desired lineup. Send us an email to get a full list of all the clubs / bars to select from to plan your night. Not familiar with Los Angeles venues? Not to worry – we are always happy to steer you in the right direction based on what type of group you have and your music preferences. To top it off, we will even create a personalized ticket link for you to send to your friends. Our party hosts are the designated organizers for your group so that you do not have to worry about a thing. No matter how many people in your party, our friendly and outgoing hosts will make sure your night progresses without a hitch while still keeping the energy high and the guests having fun. Send us a photo of your choice, a title for your page (ex: Brittney’s Last Fling Before the Ring!) and the event date. We will create you your very own personalized ticket link to send in your guest invites. Use this new ticket link to track the group size and let them know all of the details of your event with one easy click. 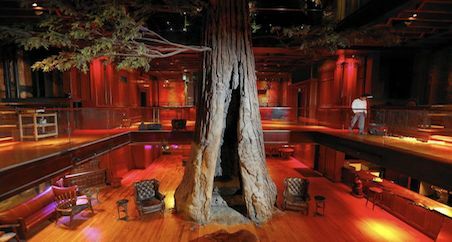 Our LA Club Crawl brings you to some of the most upscale nightclubs in downtown LA. Dress like a star since you never know who you will run into in this city of celebrities. Private club crawls are designed so that you can tailor your event to you and your group’s needs. We make sure that you have the best time possible and we pride ourselves in organizing events that your guests will remember for a long time. Let us handle everything from the first planning session to the very end of the night at last call. We are your professional party guides! Each year we look forward to throwing some of the biggest and funnest parties in Los Angeles and Hollywood. Our annual anniversary party is a free club night inviting back every Club Crawler who has joined us for a past event. Working with a selected club, we throw a big celebration for our guests in marking another great year. Expect to see dance shows, costumed characters and over all craziness that makes for an epic night. Our annual events also include our famous Winter White Party. Every January we bring in several foam snow machines and create a winter wonderland inside a top Hollywood club. Remember to dress in ALL white and to truly enjoy our winter celebration! Along with our regular weekend Los Angeles Club Crawls and Hollywood Club Crawls, we also run numerous special events. Visiting our website and Facebook page will keep you updated on our next big party. Our past holiday Club Crawls include St Patrick’s Day Pub Crawl, Memorial Day, Labor Day, LA Zombie Crawl, Halloween Prom, Halloween Pub Crawl, Thanksgiving Eve, Christmas Eve, New Years Eve pub crawl and party and we are always looking to organize more. Please visit our websites or add yourself to our Facebook pages to keep up to date on our next big special event!